Lay-in Type Thread Tension Slots - make threading easy and efficient. No wrapping, just follow the color coded thread path. Lower Looper Threader - allows for easy threading in seconds. Just slide the thread into the slot and snap the looper into place. 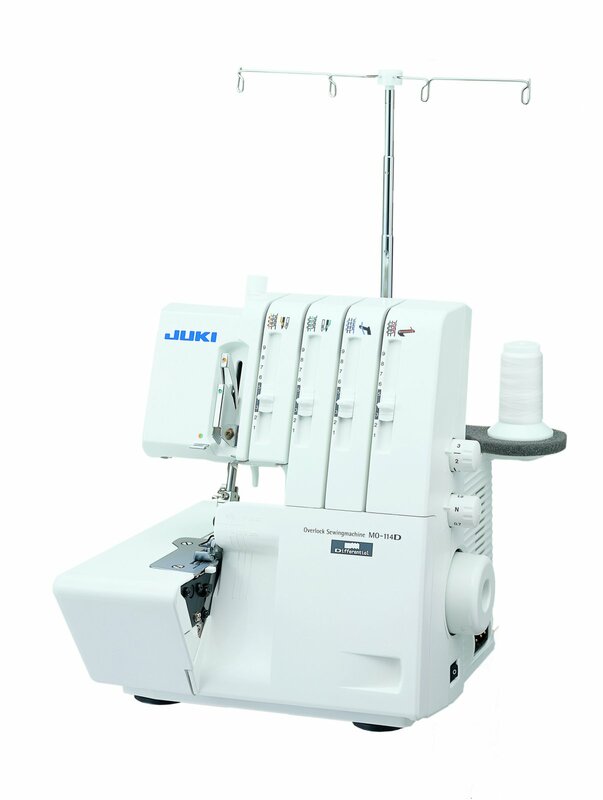 Adjustable Stitch Length - is adjusted by simply turning the dial located inside the machine. Stitch length ranges between 1 and 4mm. Differential Feed - is easily controlled and adjusted by a dial located on the exterior right hand side.